Given Name Carl G. E.
ww2dbaseFinland's greatest statesman, Baron Carl Gustav Emil Mannerheim, was an anachronism in the 20th century. In a time dominated by the political ideals of democracy, communism and fascism, Mannerheim tired of the disputes of the first, hated the proletarian nature of the second and had an uneasy relationship with the third. Yet at various stages in his life he found himself forging an entente between these ideologies, and despite his personal views on them, retained a realistic view of what would be best for Finland. An unusual Finnish patriot, for he could speak Swedish, Russian and French fluently, as well as English, German and Polish passably, yet he didn't learn Finnish until he turned fifty, and even during the Second World War needed a Finnish translator to speak to his own troops. He felt more at home among European aristocrats than his fellow countrymen. Yet he guided Finland through the dark days of it's formation, united his country and gave them a genuine feeling that they were Finns, successfully steered Finland through three wars with great powers and one civil war, and was the man who most contributed to Finland's sovereignty that still exists today. ww2dbaseThe foundation of Mannerheim's political views, some questionable at some points, is found in his birth. He was born in Askainen to a Swedish aristocratic family on the 4th of June,1867. After he was born, his father had mismanaged his family's wealth and the family split up facing financial difficulties. His mother died in 1881 and the family went their separate ways for good. Mannerheim attended the Hamina Cadet school, but was expelled for undisciplined behaviour. This event marked a turning point of young Mannerheim's life. ww2dbaseAnother popular option for those pursuing a military career in Finland was to cross the border and serve in Russia. He did this, enrolling in the Nikolai Cavalry School and graduating with honours. He then embarked on a distinguished military career in Russia. He fought in the Russo-Japanese War of 1904- 1905, being decorated for his bravery and receiving the rank of colonel. He accompanied a scientific and diplomatic journey to China and the Far East in 1906-1908, and met the elusive Dalai Lama. 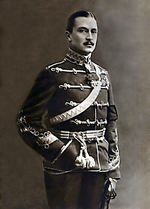 In the Great War, Mannerheim served with distinction and commanded units in Poland and on the Rumanian front. He could not deal with the breakdown in military authority of the February Revolution, so in late September, after a fall from his horse, he was transferred to the reserve in the Odessa Military district. ww2dbaseAfter the October Revolution, Mannerheim decided to return to Finland. He travelled clad in full Imperial Corps commander uniform, still retaining the aristocratic bearing an attitudes in an environment hostile to it - "It disgusted me to see generals carrying their own kit. However, I found two soldiers who quite willingly took change of mine". Mannerheim crossed the border at around the time of Finland's independence, and was appointed Commander-in-Chief of the Finnish Republic on 16th of January, 1918, in time to lead the White armies in the Finnish Civil War. The ruthless persecution of the Red armies saw 10,000 die in concentration camps and over 8,000 were shot or hanged. 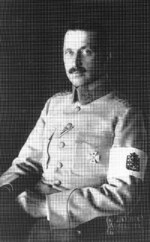 For his involvement in fighting the Reds the Kaiser of Germany awarded Mannerheim with the Iron Cross, the only person who had fought AGAINST the German Army to receive that prestigious award, and the Finnish communists awarded him with the nickname "the Bloody Baron". Mannerheim served as Regent of Finland and commander-in-chief in 1918 and 1919, but lost the first presidential election and returned to private life. ww2dbaseIn the Interwar years, Mannerheim first headed a number of charities, such as the Finnish Red Cross, where his European connections allowed him to better incorporate their work with the International Red Cross. He supported the Lapuans, a Finnish Mussolini-wannabe organization of street brawlers that tried to force a coup in 1932 under the leadership of Kurt Wallenius, but when Finnish public opinion turned against the Lapuans Mannerheim had the political savvy to know when to keep quiet. His brief flirtation with a quasi-fascist party was based not on reality, but a reaction to how his aristocratic viewpoint saw the political developments of the 20th century. In 1933 he received the honorary title of Field Marshal, and served on the Defence Council until the Winter War. ww2dbaseMannerheim spent most of his time in the Winter War in his headquarters, commanding the movement of troops, and was seen to be so fanatical about controlling everything on his own that even the Prime Minister visited him there to get reports on the military side of the war. His commanders noted that he was harsh man to work for, impossible to please. Commanders that worked close to him noted he was cold and imperious, although most other accounts of those of low or middle rank note that he was a king, fatherly figure. This was in keeping of his aristocratic background and immense talent that meant he held others in positions of responsibility to high standards. ww2dbaseMost of the instincts of Mannerheim in the Winter War were correct, he was in support of conceding to the USSR's demands, and not because of any sympathy for communism. He knew that war with Finland's large powerful neighbour would end in tragedy and loss. While pushing for an acceptance of negotiation agreements, Mannerheim also saw the key to Finland's defence and continuing sovereignty, even if there was a price attached. His intuition during the Winter War was invaluable, and more than any other man he was responsible for Finland's retained independence after the war finished. The communists renewed propaganda about the "Bloody Baron" failed to stick and have effect due to the recognition of his importance to success. ww2dbaseThe Continuation War saw more of the same skill as in the Winter War. Even though Mannerheim disliked the Germans, he could swallow his pride and do what was perceived best for Finland. On his 75th birthday in 1942, Hitler made an embarrassing surprise visit, and such was the force of his presence, Hitler bowed in the Field Marshal's presence. The length of the Continuation War was what worried the Finnish leadership the most, in the early months during Operation Barbarossa, Mannerheim's troops quickly regained the ground lost in the Winter War, and then proceeded to commit to not much more, Finland having not much desire for conquest. In 1944, when the Soviets attacked the Karelian Isthmus and this time broke through early, many blamed Mannerheim for being run so ragged by tiny details that he could not see the attack. However, Mannerheim's political sense did not fail him, he was elected president of Finland in 1944, being seen as the strongest candidate for unity, to lead Finland through the end of the war. He signed an agreement with the Soviets without conceding sovereignty, and ordered troops to drive the last Germans from Finland in the Lapland War. ww2dbaseBy the time he became president, Mannerheim was 77 years old, sick and worn out from the years of war. He has increasing bouts of sickness while in office. Still, he guided Finland through a tight squeeze at the end of the war, and saw Finland retain it's independence, an achievement few men could not have done. Even the communists who previously called him the "Bloody Baron" observed that he had forged a remarkable achievement. He retired to live in Sweden in 1946, and died in 1951. He is the only person that has held the title "Field Marshal of Finland". In 2004 he was chosen as the most influential person that lived in Finland, and even today he is one of the few Finnish historical personalities that people outside Finland know of. 4 Jun 1867 Carl G. E. Mannerheim was born. 22 Dec 1939 Field Marshal Mannerheim of Finland authorized to launch the offensive planned by Generals Österman and Öhqvist presented to him on the previous day. 12 Jun 1944 Carl G. E. Mannerheim appealed for German reinforcement to fight against the recent Soviet offensive. 28 Jan 1951 Carl G. E. Mannerheim passed away. Regarding the comment below, how does one define Finnish? How many generations must a family live in Finland before that person is considered Finnish? 1867 Finland was not independent. It was a part of Russia (1808-1917). Prior to 1808 it was a part of Sweden. Language and culture was very 2Swedish anyway different from Russia. 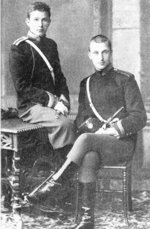 When Mannerheim moved to Nikolai Cavalry School in St Petersburg he did not cross any border. Only border was perhaps the cultural one. Mannerheim did not retire to live in Sweden. He bought a mansion from Lohja, only 50 north-west from Helsinki. He retired to live there. After he fell ill, he retired to Lausanne, Switzerland, where he died in 1951. Over 500 000 people attended his state funural at Helsinki. Correction to Anonynmous posting 8.5.2006: Finland was never part of Russia. Finland was aGrand Duchy with a real border towards Russia. Grand Duchy of Finland had her own currency tied to silver, her own separate government, budget, taxation, duties, trade policy, and her own sovereign debt - separate from Russia. Finland also had its own Army, the Finnish Army until it was dismantled by the Csar Nicholas I in 1903. After this Finland contributed a yearly monetary compensation for Russia for her defence by Russia. In every aspect it is impossible to say that Finalnd ever became part of Russia. The contrary is more plausible as Finnish entrepreneurs, military carreerists and civil servants rose to high rank in Russia and as well. Anyone have any information on the details of Kermit Roosevelt (second son of US President Theodore Roosevelt) involvement with the British to invade Finland in 1939? Ultimatley the operation was aborted. This stinks I can not read it because it is so small and I could not find out how many languages he knew.